Posted by Yilan in EU, Gaza, Spain. European Union pressures Israel to lift blockade on Gaza. European leaders urged Israel over the weekend to lift its blockade of Gaza, as they drafted plans to revive and expand the European Union’s role in monitoring goods heading into the area. On Monday, the EU Foreign Affairs Council plans to debate the matter. Spanish Prime Minister Jose Luis Rodriguez Zapatero said at a joint press conference with Palestinian Authority President Mahmoud Abbas Saturday that his country wants to “forge a strong common position” with EU countries in the face of the humanitarian situation in Gaza. Zapatero said that at Monday’s Council meeting, Spain’s foreign minister, Miguel Angel Moratinos, would propose that the EU deploy “all its political and diplomatic capability” to end the Gaza blockade. On Friday, the foreign ministers from France, Italy and Spain wrote an op-ed in the International Herald Tribune in which they joined in the call. They were careful to insist that captive IDF soldier Gilad Schalit, held by Hamas in Gaza since June 2006, be released. “Why not adopt this idea?” they asked. “To guarantee full security of supplies, we propose that inspections supported and funded by the European Union should be put in place [at land crossings] in conditions acceptable by all in order to ensure that consignments bound for Gaza contain neither weapons nor explosives,” they said. “A similar regime could in addition be applied to [sea-bound] consignments bound for Gaza, for example by deploying EU monitoring teams in Cyprus. These various arrangements would be implemented only against a backdrop of very substantial relaxation of the restrictions on imports and exports to and from Gaza,” they said. The ministers added that they wanted to expand the role of the European Border Assistance Mission (EUBAM), which has been stationed in Ashkelon since the 2007 Hamas coup in Gaza that made it impossible for Fatah to monitor the Rafah crossing, which links Egypt with Gaza. They said they wanted to see EUBAM return to Rafah. Diplomatic sources have told The Jerusalem Post that the EU is also considering placing EUBAM at two of the three land crossings linking Israel and Gaza: Karni and Kerem Shalom. But they did not address many of the technical problems inherent in opening a sea route to Gaza or in fully opening the land crossings – such as the fact that Gaza’s port is not large enough to accommodate cargo ships. In addition, the agreement under which EUBAM operates is between Fatah and Israel and involves the placement of Fatah on the Palestinian side of the crossings. Hamas is not interested in having Fatah at the crossings. Since the Gaza coup, in an attempt to economically cripple Hamas, Israel has closed the land crossings to all but humanitarian goods. Recently it has relaxed some of those restrictions and, in particular, allowed in building material for 12 projects. On Friday, Prime Minister Binyamin Netanyahu met with Blair in Jerusalem to drum up support for Israel’s right to continue its naval blockade of Gaza by which it searches and halts ships heading there so as to prevent weapons from flowing into that area by sea. According to the Prime Minister’s Office, Netanyahu told Blair that goods could enter Gaza by other means. 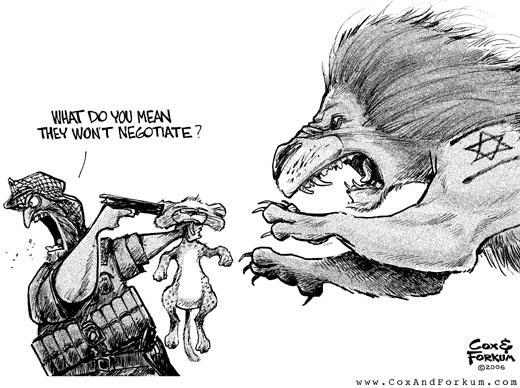 Israel has said it could show flexibility with respect to the quantity and variety of goods heading into Gaza by land. It has, however, insisted it does not intend to allow a full revival of the Gaza economy, because such a move would only strengthen Hamas. Posted by Yilan in EU, European Union, Macedonia, Spain. Macedonia could start its EU accession talks within the period of the Spanish EU presidency, Spanish Foreign Minister Miguel Angel Moratinos told media in Skopje on Tuesday. Moratinos, whose country holds the rotating EU Presidency until June, grounded his optimism on his impression that both Macedonia and Greece are making their utmost efforts to resolve their bilateral name spat, which is the only obstacle for the start of accession talks with Skopje. In addition to talks with Macedonian FM Antonio Milososki, Moratinos was set to meet President Gjorge Ivanov, Prime Minister Nikola Gruevski, Vice Premier for European Affairs Vasko Naumovski and several MPs. For his part Milososki reiterated that Macedonia is fully committed to resolving the long lasting name spat that has caused Greece to block Macedonia’s NATO accession and later its EU integration progress as well. Milososki urged Athens to restrain from speculating on possible name solutions. His remarks referred to a recent statement from the Greek Foreign Ministry Spokesman Grigori Dalavecouras in which he reiterated that the name “Northern Macedonia” is acceptable for Greece as it fits Athens’ demand for a geographic qualifier to distinguish the state from the northern Greek province that is also called Macedonia. Athens argues that Skopje’s official name, Republic of Macedonia, implies territorial claims against its own territory. As a member of both NATO and the EU, Greece’s consent is necessary before Macedonia can join these organisations. In December last year, the start of Macedonia’s accession talks with the EU were blocked, although previously the European Commission had said that all conditions had been met. Since then media have been speculating that the EU has given both sides an informal June deadline to resolve the dispute. A fresh round of UN brokered name talks between Athens and Skopje is expected to be held soon. A senior Spanish official said on Tuesday that Macedonia might get a date for the start of its accession talks to join the European Union by the end of this June. Spanish Foreign Minister Miguel Angel Moratinos, whose country holds the current rotating EU presidency, said that his country will invest all its energy to make this happen before its presidency ends by the end of June. “We are making efforts and I am convinced that it could happen by the end of the Spanish presidency,” Moratinos said at a joint press conference with his Macedonian counterpart Antonio Milososki in Skopje. He said that his optimistic because he is satisfied with the preparations undertaken by Macedonia for start of accession talks, adding that 2010 will be a good year for Macedonia’s integration into the EU and NATO. In December last year, the EU postponed the decision to grant Macedonia the much desired date for start of its accession talks due to the unresolved name issue between Macedonia and its southern neighbor Greece. Greece has been opposed to its northern neighbor using the name of Macedonia, arguing that the name implies territorial claims against its own northern province, also called Macedonia. Macedonia’s bid to join NATO was also thwarted by Greece over the same dispute in 2008. “We don’t want to waste time any more. 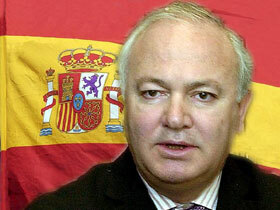 We need your country in the EU,” Moratinos. However, in a later speech to Macedonia’s parliament, the Spanish foreign minister said the dispute must be settled in due time, pushing for final efforts into solving the issue. “Unless the name row is settled, we are wasting time and the region of Western Balkans cannot be stabilized,” he warned.